Asiad Steels is one of the known manufacturers, distributors and suppliers of Hastelloy B2 Fasteners, which has outstanding resistance to hydrochloric acid at all concentrations and temperatures. 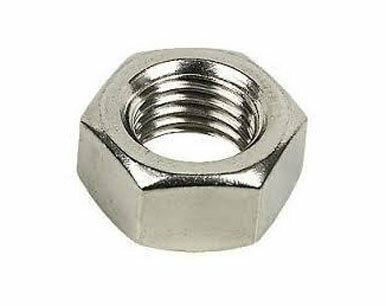 We also offer the same in different types such as Hastelloy B2 Nuts, Hastelloy B2 Bolts, Hastelloy B2 Washers and Hastelloy B2 Stud Bolt. These Hastelloy B2 is a solid solution strengthened, nickel-molybdenum alloy, with significant resistance to reducing environments like hydrogen chloride gas, and sulfuric, acetic and phosphoric acids. Molybdenum is the primary alloying element which provides significant corrosion resistance to reducing environments. Hastelloy B2 provides resistance to pure sulfuric acid and a number of non-oxidizing acids. The alloy should not be used in oxidizing media or where oxidizing contaminants are available in reducing media. And to never be insular and inward looking. Hastelloy B2 are the building block of a strong caricature and the composition of Hastelloy leverages it with the requisite strength and also with the quality standard that helps it in taking a lot of pressure for a lot of coming years. Hastelloy B-2 is used for most chemical process applications in the welded condition, gasoline refining. This nickel steel alloy can be used in the as-welded condition because it resists the formation of grain-boundary carbide precipitates in the weld heat-affected zone. Industry users like the resistance to a wide range of organic acids and the resistance to chloride-induced stress-corrosion cracking. These super alloys are also known as high performance alloys. It resists both reducing and oxidizing acids, and is used in furnace scrubbers and phosphoric acid production. Buy Alloy B2 Fastenersat reasonable rates from us. We are Exporter of Hastelloy Alloy B2 Fasteners in Worldwide Such as India, Austria, Iraq, Canada, Italy, South Korea, Taiwan, Argentina, Algeria, Iran, Switzerland, Colombia, Malaysia, Mongolia, Namibia, Nigeria, Puerto Rico, Thailand, Bahrain, Spain, United Kingdom, Vietnam, Bhutan, Finland, Poland, Venezuela, India, Pakistan, Nigeria, Estonia, South Africa, Lithuania, France, United States, Romania, Croatia, Ecuador, Trinidad & Tobago,Tunisia, Yemen, Bangladesh, Ukraine, Chile, Ghana, Serbia, Czech Republic, Greece, Saudi Arabia, Zimbabwe, Belgium, Japan, Hong Kong, Tibet, Denmark, Mexico, Norway, Belarus, Russia, Singapore, Brazil, Gambia, Iran, Kazakhstan, Mexico, Morocco, Bulgaria, Germany, Gabon, Philippines, Slovakia, New Zealand, Poland, Sweden, Macau, Bolivia, Indonesia, China, Australia, Nepal, Afghanistan, Costa Rica, Azerbaijan, Kenya, United Arab Emirates, Libya, Lebanon, Netherlands, Israel, Egypt, Angola, Sri Lanka, Peru, Qatar, Ireland, Oman, Chile, Portugal, Turkey, Jordan, Hungary, Kuwait. We are Suppliers of Hastelloy B2 Fasteners in India Such as Mumbai, Noida, Gurgaon, Baroda, Cairo, Kuwait City, Houston, Algiers, Ludhiana, Jamshedpur, Pimpri-Chinchwad, Secunderabad, Hanoi, Riyadh, Santiago, Los Angeles, Hong Kong, Al Khobar, Montreal, Perth, Indore, Aberdeen, Melbourne, Ho Chi Minh City, Milan, Rio de Janeiro, Al Jubail, Colombo, Chennai, Ankara, Pune, Ranchi, Navi Mumbai, Courbevoie, Jakarta, Kuala Lumpur, Coimbatore, Chiyoda, Mumbai, Nagpur, Mexico City, Manama, Vung Tau, Kanpur, Rajkot, Tehran, Ernakulam, La Victoria, Lahore, London, Geoje-si, Atyrau, Thiruvananthapuram, Bogota, Jeddah, Caracas, Sydney, Gimhae-si, Calgary, Chandigarh, Haryana, Port-of-Spain, Ahvaz, Faridabad, Muscat, Dubai, Lagos, Toronto, New Delhi, Granada, Hyderabad, Singapore, Dammam, Vadodara, Istanbul, Ahmedabad, Brisbane, Bhopal, Nashik, Petaling Jaya, Visakhapatnam, Busan, Sharjah, Abu Dhabi, Madrid, Edmonton, Karachi, Moscow, Bengaluru, Kolkata, New York, Dallas, Jaipur, Thane, Bangkok, Doha, Surat, Ulsan, Seoul, Howrah.